Small and mid-sized financial services firms are on a hiring spree, pooling in precious human resource talent during these demonetisation days. This trend is part of their talent investment for the future. 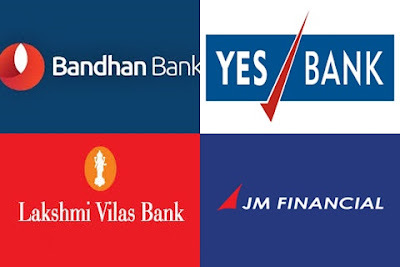 New generation private sector lender Yes Bank is recruiting about 500 people every month while Kolkata-based Bandhan Bank has hired 4,000 employees in the current financial year and the payroll is still on the rise. Average remuneration for staff in ‘feet-on-street’ role is Rs 10,000-15,000 per month while those taking up branch banking roles would earn around Rs 20,000-40,000 per month. Lakshmi Vilas Bank (LVB) plans to hire 500 people in 2017. While around 300-400 people will be hired at the entry level, the remaining will be at various other levels. We see business optimism coming back next financial year. We are accordingly preparing ourselves,” said NS Venkatesh, executive director of Lakshmi Vilas Bank. “As the demonetisation drive fuels chances of a cashless economy, we are in the process of hiring people with expertise in digital technology.” “The bank is undergoing a transformation. Hence, we plan to hire more specialists,” he said. We will be strengthening our LAP (loan against property) business by launching new branches as well as increasing our frontline sales team. Business loans and our home finance business are moving into launch mode, we are looking at talent acquisition at leadership levels, to begin with,” said Aditi Nair, vice-president, human capital management at IndoStar. The company intends to strengthen its geographical footprint with branches in six more cities including Chennai, Hyderabad, Ahmedabad, Surat, Indore and Jaipur. Investment bank JM Financial to is expanding its human capital, eyeing future deals and expanding its lending business.We are in a phase of planned and steady growth and most of our hiring is done to support business augmentation, both existing and new,” said Anil Salvi Group head, human resource & administration at JM Financial.